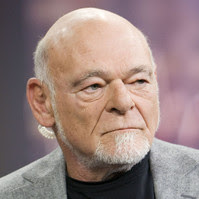 Sept. 13 (Bloomberg) -- Tribune Co. creditors asked a judge to let them sue real-estate billionaire Sam Zell, who took the newspaper publisher private in 2007 for more than $8 billion, and shareholders who benefited from the deal. Zell, the shareholders and six other groups of potential targets of the lawsuit "collectively caused massive damage" to Tribune, the official committee of unsecured creditors said today in a filing in U.S. Bankruptcy Court in Wilmington, Delaware. The committee, which once supported Tribune's plan to settle any allegations against Zell, told U.S. Bankruptcy Judge Kevin Carey that it doesn't plan to pursue the proposed lawsuit while the company is trying to negotiate an end to its bankruptcy. It said it wants to protect its right to file the case should mediation among Tribune's warring creditors fail. Tribune filed for bankruptcy in December 2008, a year after the buyout led by Zell. Gary Weitman, a spokesman for Chicago- based Tribune, had no immediate comment. The other potential defendants include Tribune's directors and officers and one of its financial advisers, Valuation Research Corp., according to the filing. The committee didn't name any of its own members as potential targets. Those members include buyout lender JPMorgan Chase Bank NA and Deutsche Bank Trust Co. Americas, a trustee for some lenders. Fighting among Tribune creditors, who are owed more than $12 billion, intensified after July 27 when a bankruptcy examiner, Kenneth N. Klee, released a report that bolstered the position of lower-ranking creditors. Those creditors, including noteholders owed $1.2 billion, said JPMorgan and the other buyout lenders should lose their position among the first to be repaid because of the 2007 transaction. Some of the lower-ranking creditors have already sued JPMorgan and other lenders for their roles in financing the buyout. They say the deal was a so-called fraudulent transfer because it added $8 billion in debt to Tribune without conferring any benefit on the company. Some lenders have said in court papers that they oppose compromising with the lower-ranking creditors.